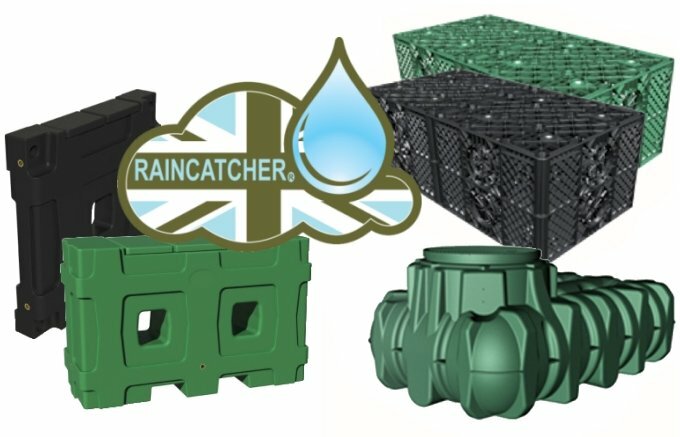 In today’s blog we’re dishing out 10 helpful Hints and Tips for anyone thinking of investing in a Rainwater Harvesting system, from the experts at RainCatcher Products and Services Ltd.
Rainwater is the most cost effective of the two, however do not confuse this with grey water, which is re-captured water from sinks and baths (as examples) and is a much more complex form of water harvesting with much more stringent maintenance implications. You can use our tank size calculator on this very website. 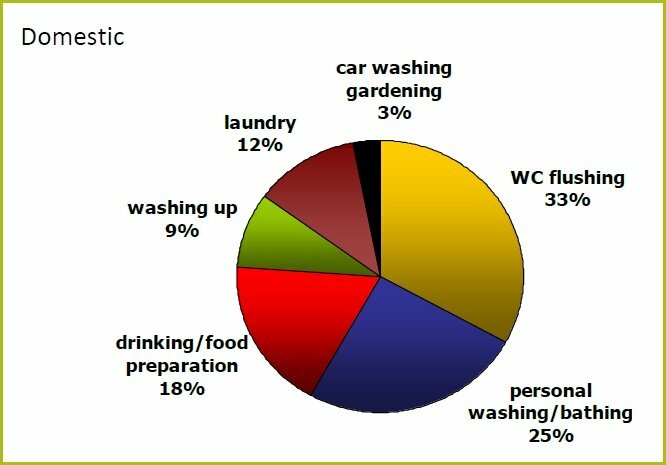 You will need to know the roof type and area of the building that can be utilised to capture the rainwater from, its location in the UK, how many people in the building, how many toilets and washing machines and whether the water will also be used in the garden. Take care not to over size your tank – if in doubt please get in touch as tank sizing can be simple or complex, however in a nutshell you calculate on what you will be using or what you can capture (use or yield) and generally we use the lower figure. Our calculator will take this into account for you, however if you need assistance, let us know. 3. Where should I collect rain from? BS8515 is the current British Standard and this states collection from the building roof is the preferred catchment method. Surface water run off is not recommended, however if this is in the plans then seek professional advice from one of RainCatcher’s experts. 4. What do you want to use the collected water for? 5. Can I turn my rainwater into drinking water? 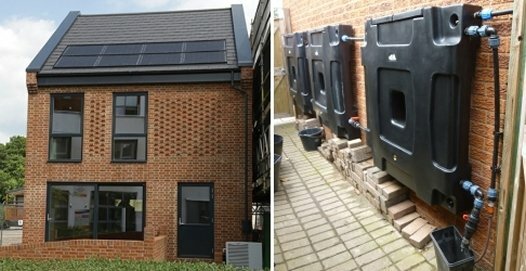 Generally rainwater is used for non-potable applications such as garden use and toilet flushing, however we do have the technology to turn rainwater into drinking water. Any system requires a maintenance schedule, however the extent of this will depend on the complexities of the system and it is worth seeking further advice on this. As a guide, a domestic system should have a general maintenance check once per year with a tank clean every 5-10 years, however a commercial system generally needs 2 visits per year with a tank clean every 5-10 years. Would you use a carpet fitter to design your garden? No! The same principle applies to rainwater harvesting. We have seen some great and some awful installations so as a bare minimum we would suggest utilising our commissioning service post-install so you have the security that your system meets up to to current standards and regulations. 8. 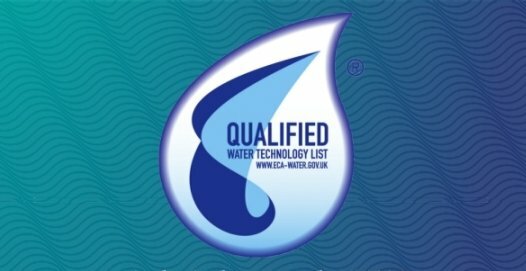 What is the Water Technologies List and Enhanced Capital Allowance? RainCatcher’s products are listed on the WTL with the latest testing being on our RainCatcher downpipe filter. 9. What does a rainwater harvesting system comprise of? The main filter can be installed pre-tank or within the neck of an underground tank and is essential for larger systems where water may be stored for longer times. It will help prevent water becoming smelly and discoloured by removing leaves and other debris. This also reduces the sludge accumulating at the bottom of the tanks, and reduces clogging of tap outlets, hoses and irrigation system parts. For even cleaner water, an overflow siphon collects smaller particles such as pollen which can accumulate after filtering on the top layer of rainwater. The integrated u-bend stops vermin getting into the tank through the overflow outlet. Where the rainwater flows into the bottom of the tank, a calming device prevents the flow from stirring up any silt on the bottom. A floating intake on a pump, such as the divertron X1000 and X1200 ensures only the cleanest water is drawn from the tank. A pump maintains a good pressure and flow of water round the house and garden. Pumps such as the RainCatcher divertron range turn on automatically when you turn on a tap or flush a toilet. It stops on its own as well. 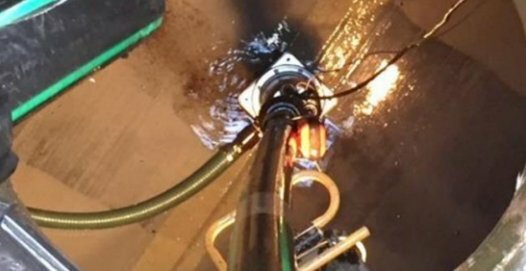 Accessories and optional extras may include: pipe work, compression fittings, additional filtration for higher quality water requirements, pump lifting chains, expansion vessels and fitting kits, etc. 10. 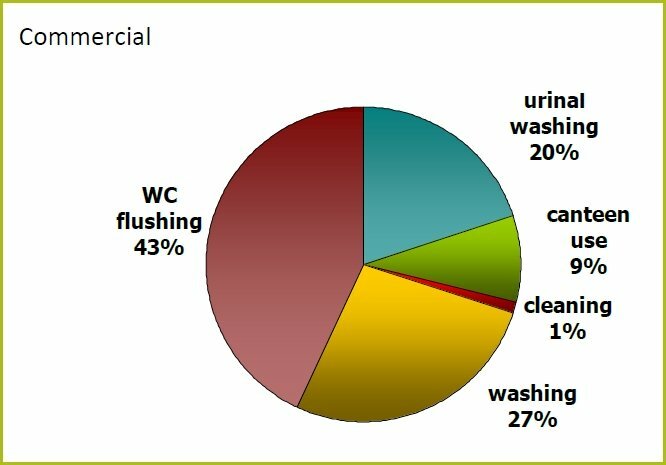 How can we ensure the water doesn’t smell? 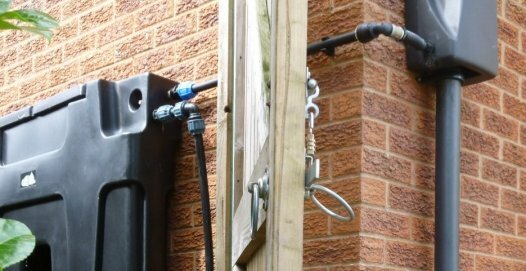 A properly sized, installed and maintained system will provide clean, colourless and odourless water, as long as the rainwater system is installed with the basic filtration stages as stipulated in BS8515. The three main stages include – Main filter unit intended for the removal of organic matter (e.g. leaves and debris), via filtration passing a maximum particle size of <1.25mm and with an efficiency of at least 90%, from rainwater collected prior to storage in a rainwater harvesting system, a calming inlet for sediment settlement and an over flow siphon for removal of floating debris. Additional filtration methods can include, active carbon, ultra violet, reverse filters and <5 micron filter cartridges (this list is non-inclusive).